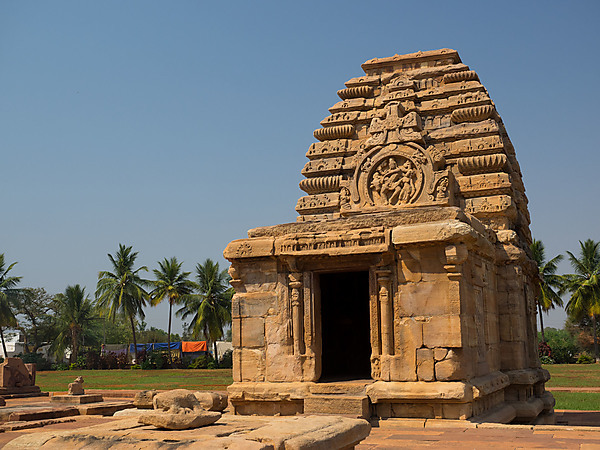 Pattadakal is set of much earlier temples about a 3 hour drive from Hampi. 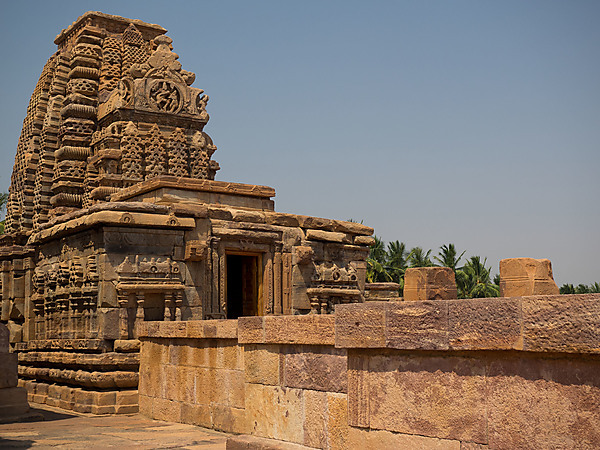 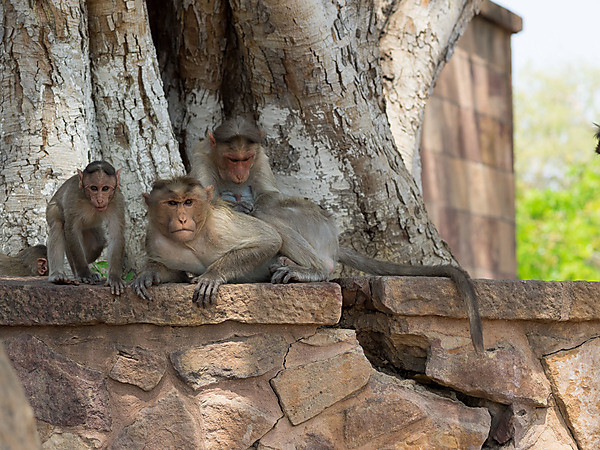 The earliest temple at Pattadakal dates from the 6th century and the latest was added in the 9th century. 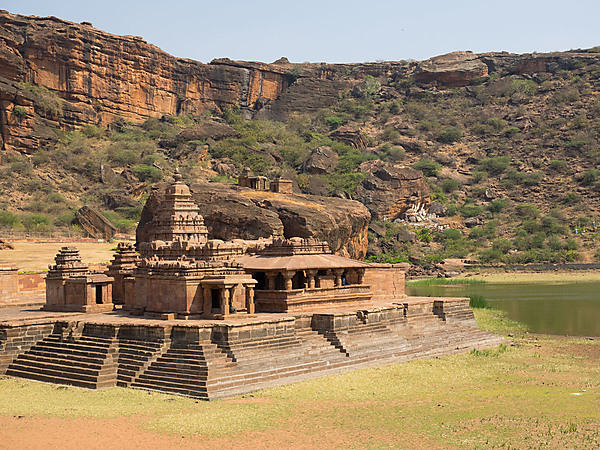 Pattakal was the coranation place fo Chalukyan kings. 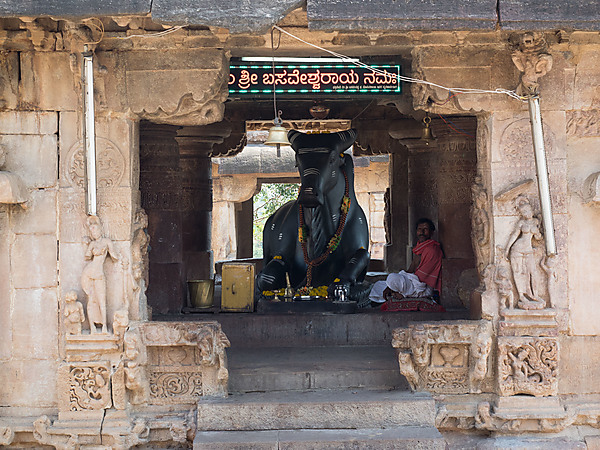 The most striking thing to me at Pattadakal was the modern Nandi (bull) statue inside an ancient temple. 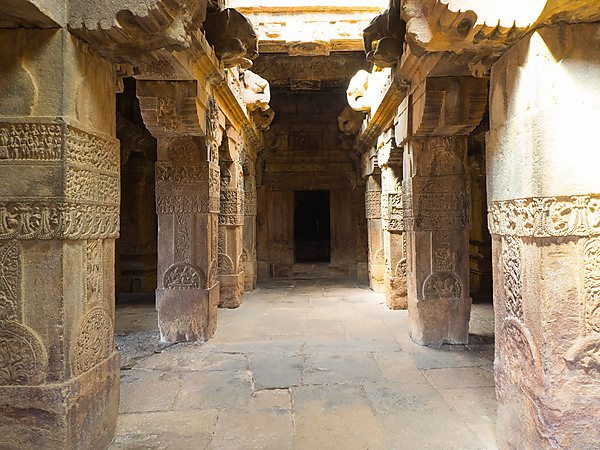 It was the blend of old and new which is common in India but very foreign to Western culture. 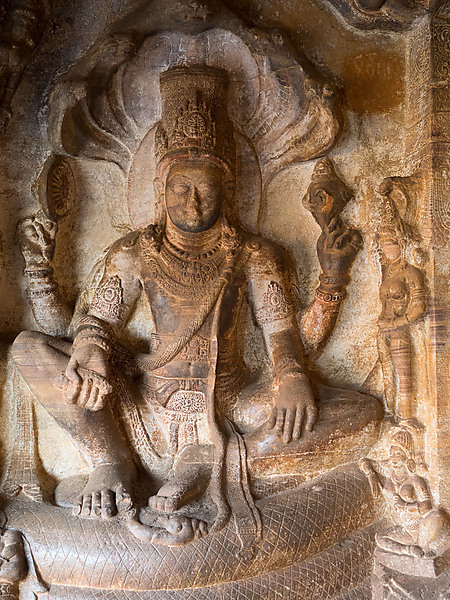 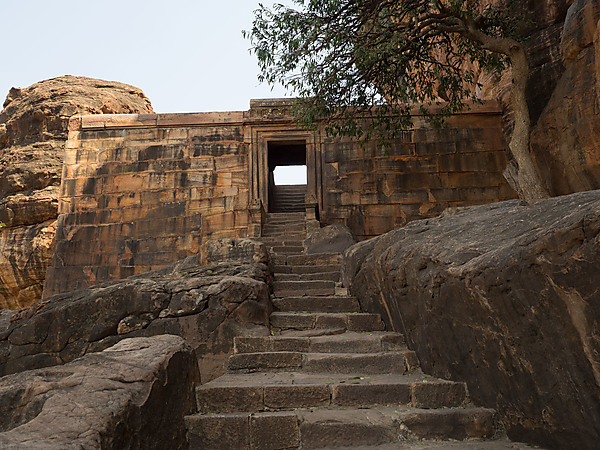 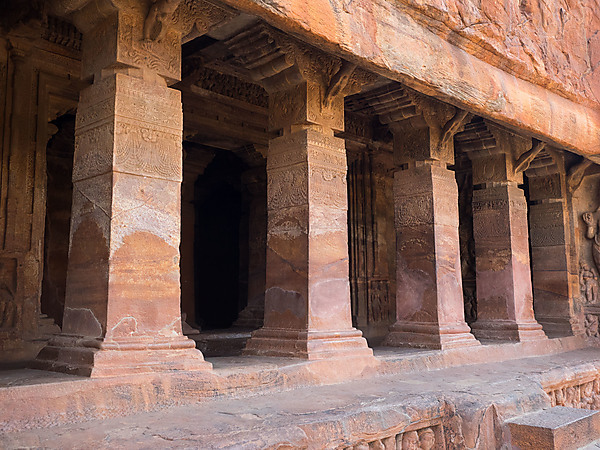 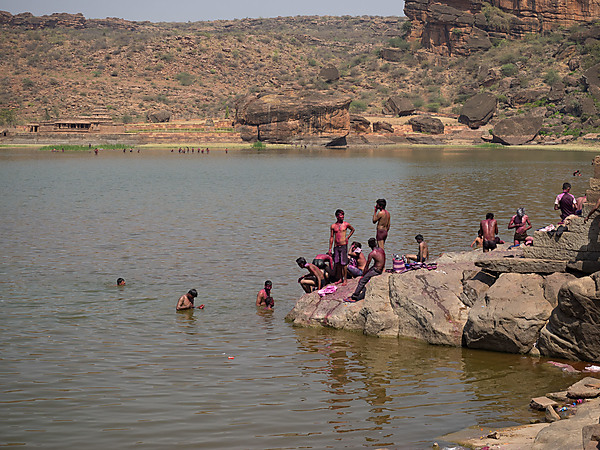 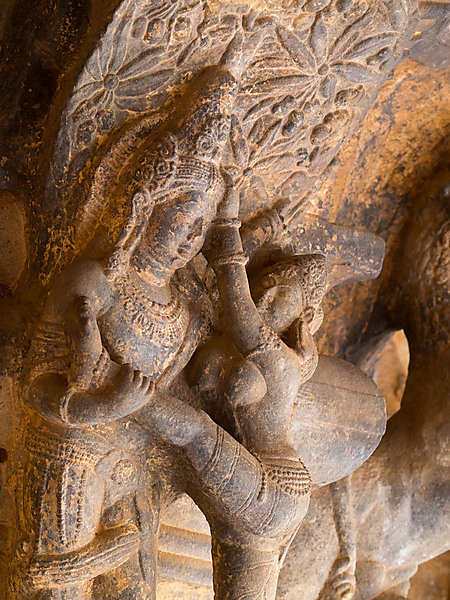 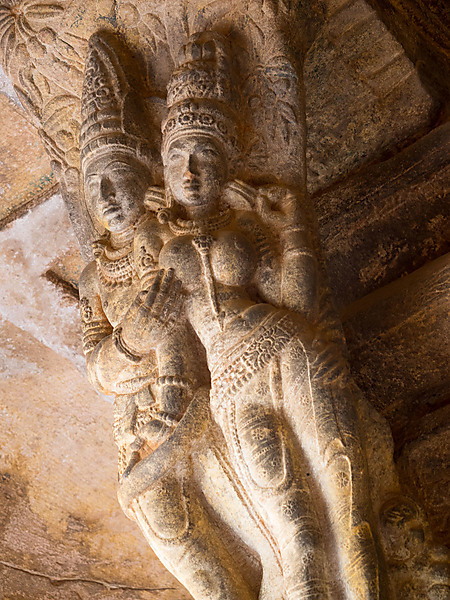 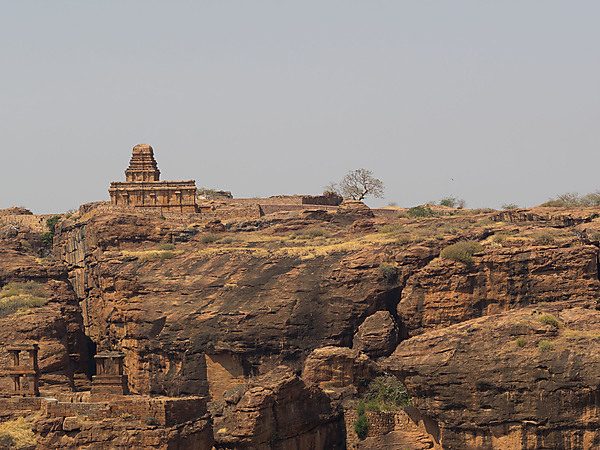 The Badami Cave temples are a short drive from Pattadakal. 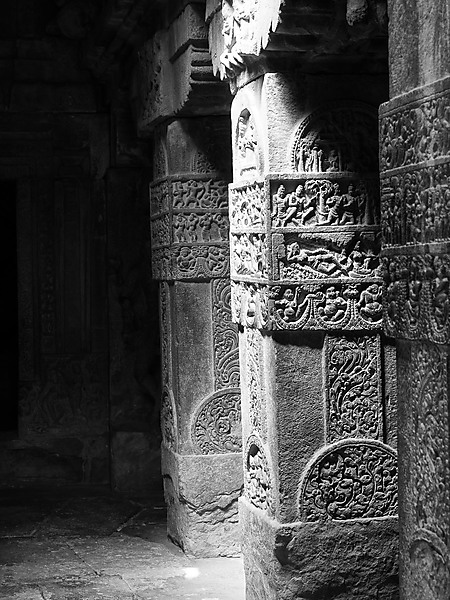 Carved in the 6th and 7th centuries they are impressive momuments. 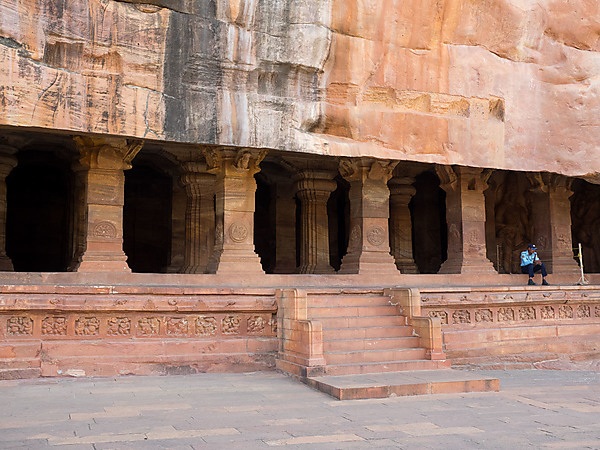 I kept thinking the about the level of religious devotion needed to chisel out temples from solid rock. 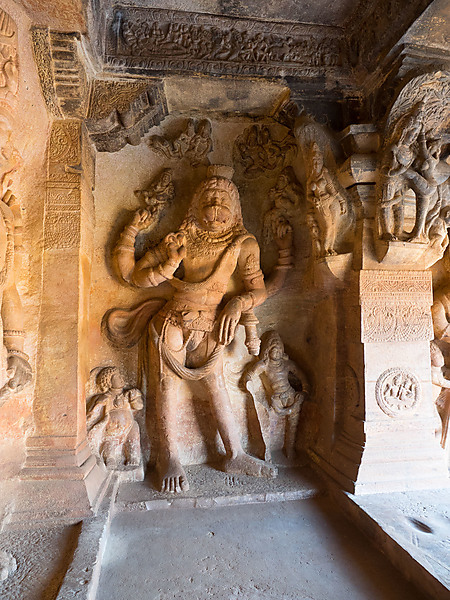 The reliefs inside the temples, particularly Cave 3, are very impressive.